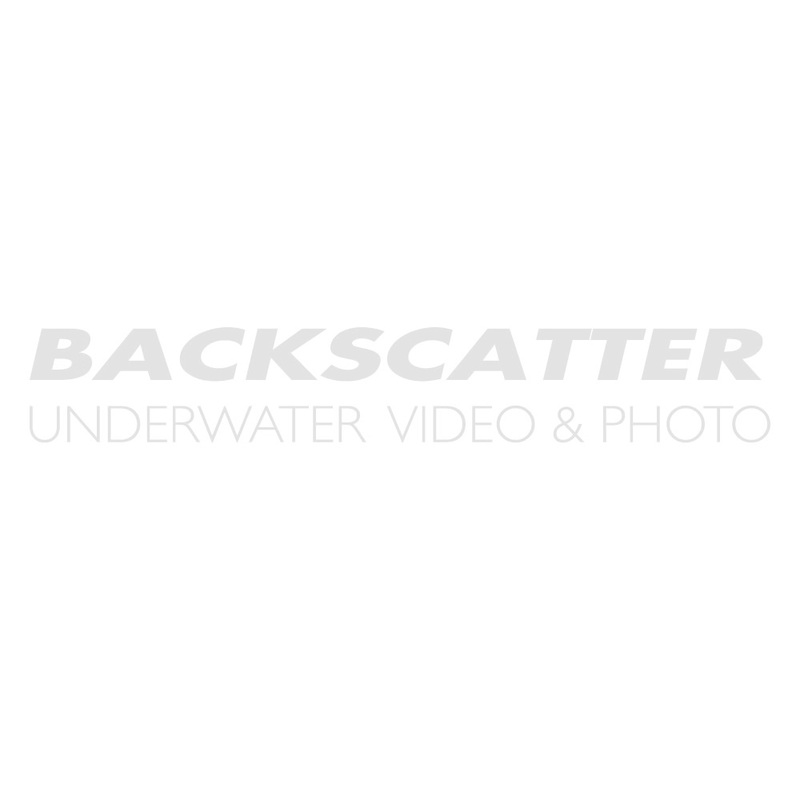 Backscatter is the US distributor for Hartenberger. Known for uncompromising quality and stylish design, the Hartenberger line of underwater dive lights feature rechargeable batteries in sleek aluminum housings. We love to loan the Hartenberger dive lights to clients... once you use a Hartenberger, you just have to have one! We stock the Hartenberger focus lights and the compact hand held dive lights. The wreck maxi, has been specially designed and developed to meet the tough requirements of modern technical diving. The power pack and the lamp head are two separate modules connected with a cable. The units are particularly small and streamlined for easy handling and optimum rig configuration. The mini compact rechargeable hand lamp has been developed especially for the travelling diver. The lamp provides excellent illumination despite its dimensions and weight. The sleek design of this light makes it one of the most stylish focus lights on the market. In addition to style, reliability, ease of use and top notch performance this light is a great choice for focusing as well as a rock solid dive light for your models. The maxi compact rechargeable hand lamp has been developed especially for the travelling diver. The lamp provides excellent illumination despite its dimensions and weight. The medi electronic light are not only a visual attraction, but the technology contained within the housings is also astounding.The small diameter of the lamps allow a secure and comfortable grip. The housing can be opened without the need for special tools. The seal is produced through the use of a special O-ring. Hartenberger Spare o-ring for Nano Light. An essential accessory in your travel case, why not carry spares of all your rear O-rings! Can replace the frosted glass front on the Nano for a brighter dive or focus light. The Hartenberger Nano Video & Focus Light is the most reliable and feature rich underwater light we've ever found. It features a super wide beam, 4 power levels, a 50-130 minute burntime, swappable battery, and an o-ring free wet-pluggable charging system. Add the world renowned reliability of Hartenberger and you're likely looking at the last focus light you'll buy.